Whenever I go to an Indian wedding I am most likely greeted by this colourful red maroony and yellow speckful curry. I have had it so many times but have never made it at home. Well..the perfect opportunity arose when I realised I wanted to make a kidney bean curry but didn’t have enough beans. So the crunchy sweetcorn kernels came into play! • Stir in the tomato passata and add all the dry spices, salt and sugar. 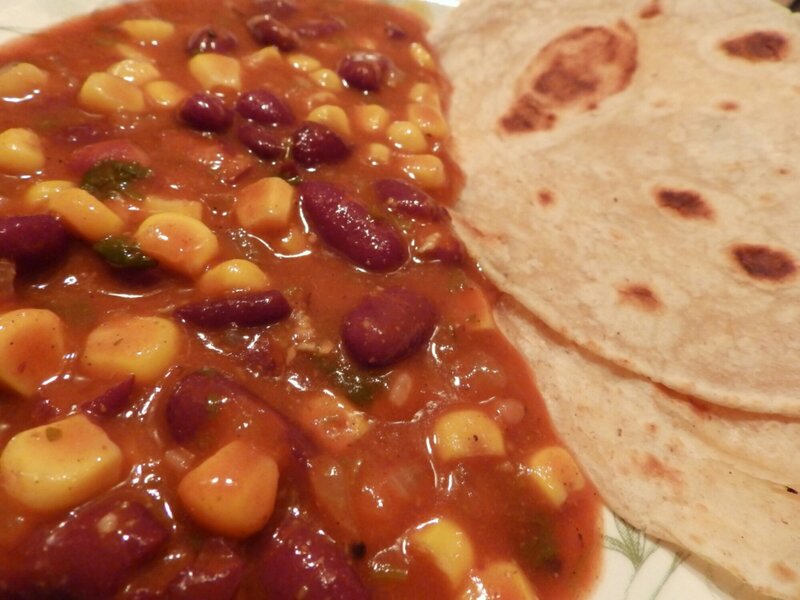 • Pour in the kidney beans with it’s water plus the sweetcorn, stir well and simmer on a low heat covered for 10 minutes. Garnish with coriander to serve. I’ve stirred the coriander in to infuse the flavour! Looks delicious! I have a question — is tomato passata similar to tomato paste? Or is is it like tomato sauce? Beans and corn always go well together and the addition of spice and cilantro gives it an even better taste. 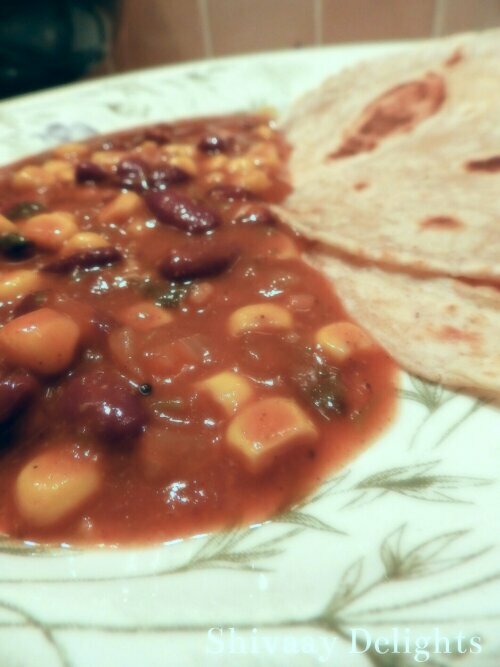 I love Cilantro and beans and corn and garlic…I would love to eat this wedding curry any time. Have a lovely weekend!